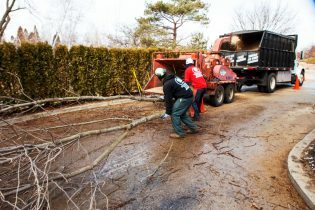 Progressive Tree Service strives to preserve and prolong tree life, although sometimes a different approach is required. There are many factors that come into play where tree removal becomes necessary, from diseases, to aging, to safety hazards. Our certified and trained tree care professionals will remove your unwanted tree in a safe and efficient manner with minimal property disturbance and complete debris cleanup. 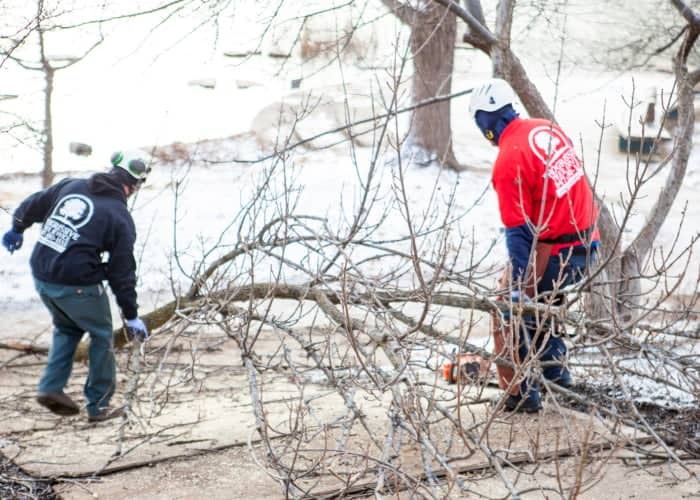 Tree removal in a city such as Chicago is difficult and dangerous work, and if it isn’t done properly, the process can result in injury to the person/people cutting the tree, as well as damage to structures or objects nearby. 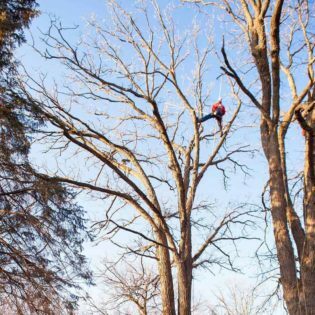 Because of this, you should not hesitate to contact a trusted tree cutting and removal service. By doing so you will have the necessary experience to carry out the entire process in a clean and safe manner. When a tree develops problems, it is often difficult to decide when or how to remove it. Dying trees can frequently be maintained for many years by cutting out all dead or diseased portions and watering deeply when needed. 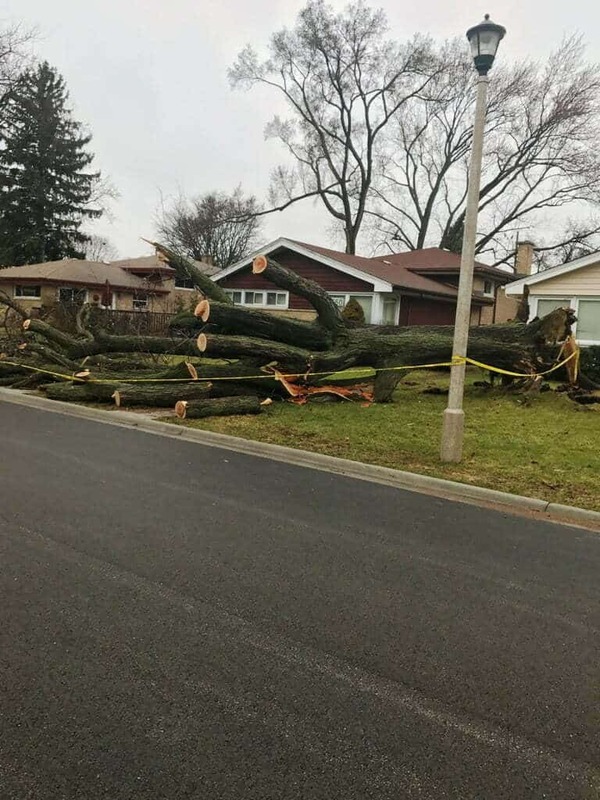 Unfortunately continually removing dead wood is expensive and may cause concerns for neighbors about the possibility of the tree falling on their property. Trees provide plenty of things for us, such as shade and climate moderation, they hold soil in place, help keep air and water clean, increase property value, and provide beauty. Because of this, a number of questions need to be asked and the pros and cons must be weighed. Remove a tree which has more than 50% overall damage. A tree that is in decline can continue to survive for many years but will always have limited or abnormal growth and appearance. Also, being in the Midwest can put extra strain on a tree with the change of each season, thus making it more difficult for the tree to come back into season each year. Prolonging the life of a dying tree is very possible but should be approached with caution. Vertical cracks, seams, dead branch stubs and large, older wounds suggest internal decay. Severe damage to the main trunk often warrants removal of the tree. If the damaged area is less than 25 percent of the circumference of the trunk, the wound could gradually heal over and no permanent injury should result. Large trees that have had their tops broken or large damaged limbs are a danger to people and property. If less than 25% of branches are damaged, tree will probably survive. Crossed or rubbing branches should be removed. Narrow branch angles especially of the main trunk are particularly prone to splitting and should be corrected. This is best done when the tree is young. If a narrow crotch is too large to remove the two co-dominant leaders could be cabled to relieve the strain and avoid breakage. This procedure is performed by a professional. Not all mushrooms growing under trees are associated with root diseases, but fungi growing on the tree are an indication of internal rot. Leaning trees are more of a hazard than those growing vertically. A sudden lean indicates breakage or weakening of roots and tree should probably be removed immediately. A lean of more than 15% from vertical should be removed. If you are not sure if a tree needs to be removed, you can have us perform an arborist inspection. 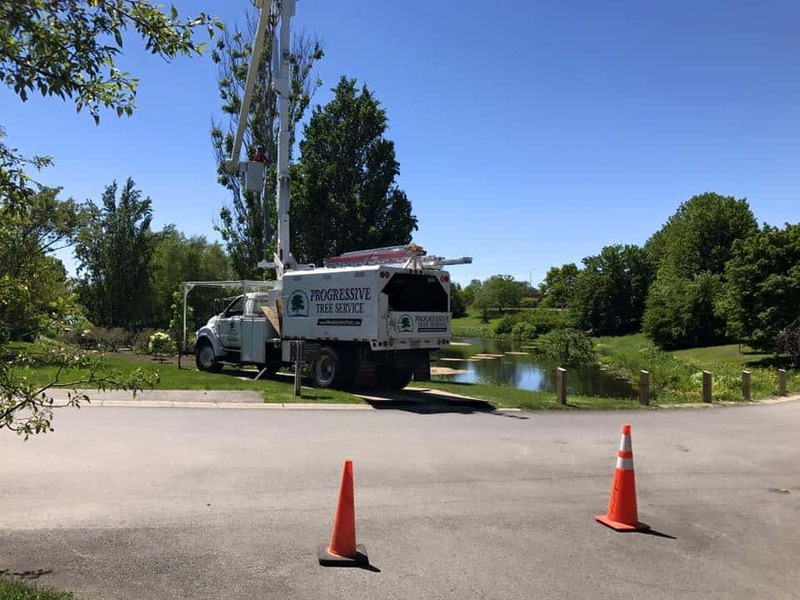 We know how valuable trees are, both to the environment and to your property's market value, so we only recommend tree removal when absolutely necessary. "Simply outstanding! These guys worked two days to clear out the jungle we had both in the front and back yard. They have done a fantastic job and cleaned up nicely. " 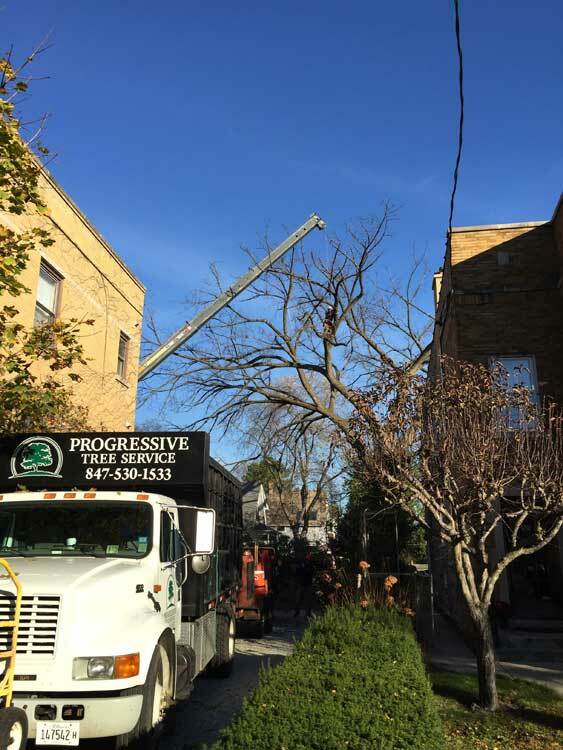 "Progressive Tree Service did a wonderful job "super pruning" our two giant silver maple trees, 3 elm trees, 2 crab apple trees and one large box elder tree... "
" My two neighbors and I are SO HAPPY we hired Progressive. They showed up on time, were extremely careful, worked diligently and safely"
"As a landscape designer, running into tree maintenance and tree issues is a frequent occurrence. After receiving other bids and having worked with other arborists, I consistently choose to work with Juan. Progressive Tree Care provides the best value for arbor care around."